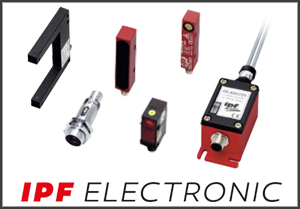 Here at Thermelec we provide a wide array of optical sensors. These include; through-beam and retro-reflective sensors, diffuse reflection sensors with and without background suppression as well as high performance through-beam sensors. Fibre optic sensors, such as fibre optic amplifiers, glass and plastic fibres. Integrated through-beam sensors: These can come in several formats including, fork, frame and ring shaped. Special optical sensors: These include; colour recognition, luminescence sensors and contrast readers. 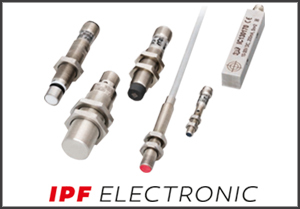 ipf Opti-Check have a compact design and can be pre-set to a specific operating distance. Pre-set operating distance, integrated optics, illumination, electronics and software. The product comes within a metal housing, has a resolution of 720 x 480 and code-able digital outputs. Windows software allows for easy teach-in and parameterizing and serial transmission of the inspection results. 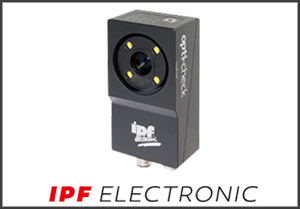 The ipf Opti-check can be used in the recognition of areas with fixed characteristics, for checking of the outer contour of an object, for the comparison of an object with a taught-in sample and for checking the observance of a shape parameter (roundness or radius). 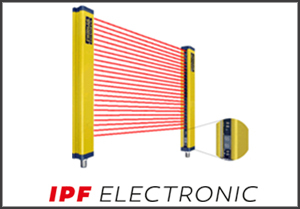 Stay safe with an ipf safety light curtain or safety relay. Or category 4, which is an all-round, protected for the highest safety. These systems are easy to install and setup with built in diagnosis on the device, it has a compact profile design, short response time, it is self-monitoring and connected with an M12-connector. Accessories include; ground fixtures, deflection mirrors, mounting brackets, protective housings, safety relays, muting lamps, laser pointers, test bars and cable sockets. Used in the detection of small parts with the smallest design starting from Ø3mm. Includes; both norm and enlarged sensing ranges. 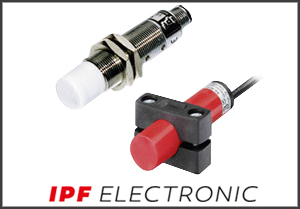 Analog sensors with triple sensing range and all-steel sensors with triple sensing range. High temperature sensors that can read up to +230oc. Ring shaped sensors, pressure proof sensors up to +500bar, welding sensors and hose sensors. These are used in the detection of all materials and the smallest design starts from 4mm. This device can be either plastic or metal.